In 1995 I returned to Kyoto, Japan, to study with Koyo Kida, a Japanese Embroiderer from another school of Japanese Embroidery. He did not teach the same methods or techniques as the Japanese Center, instead he used his own personal approach to the embroidery. He was highly successful at his embroidery and many commissions came his way. I was very appreciative that he would share his knowledge. His techniques are not the same as the Japanese Center. He approaches the embroidery in a more modern fashion, hence this box of many colors. 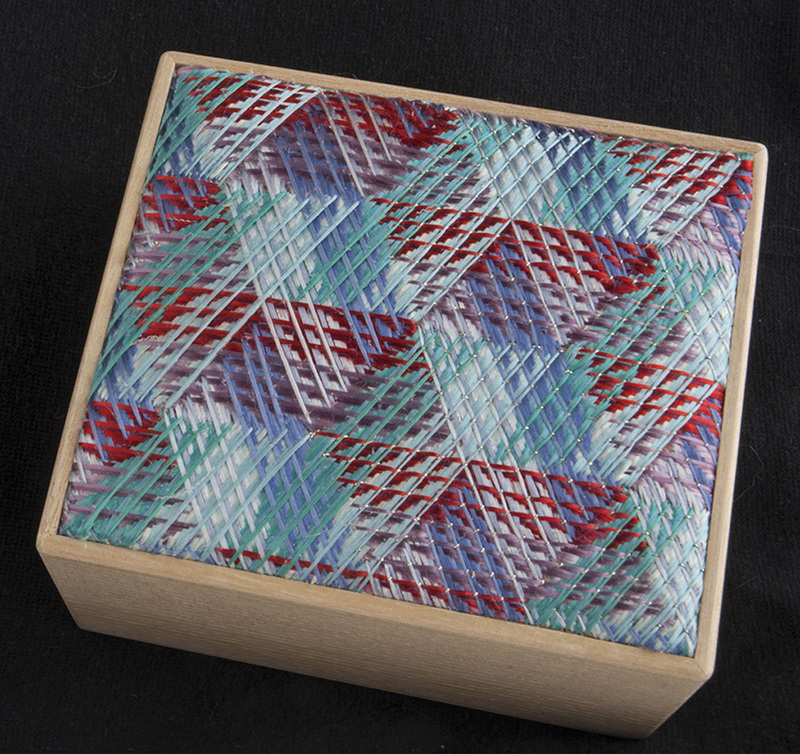 This box has many layers, each stitch is precisely measured and laid flat. It only works if you are extremely accurate. This was my first piece stitched under his watchful eye. I then returned to study a more traditional piece and am thankful for the opportunity to learn from him.